You can head to the Greek island of Skiáthos for sun, sea, sand and a bit of friendly banter with the waiters. You can also watch the classic Abba soundtrack movie, ‘Mamma Mia!’ at the open-air screen, three times a week. The buzzing port town has not forgotten that the blockbuster was filmed on this small Greek slice of paradise. It’s not all Mamma Mia! memorabilia though, and I didn’t spy a single shrine to Pierce Brosnan. 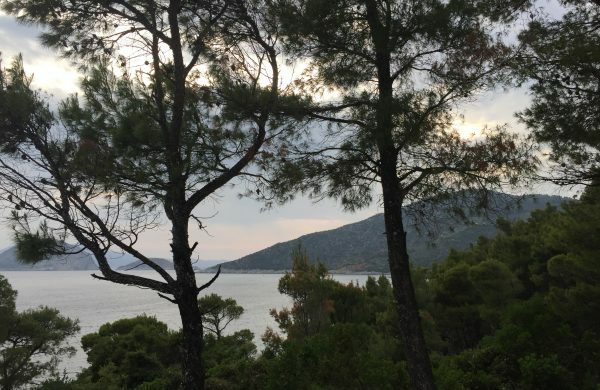 However, you can take a boat trip to the teeny island of Skopelos, and visit the ‘Chapel of Agios Ioannis’ where lovestruck Meryl actually got married. In reality, it is tiny, Greek and very romantic, and if anyone would like to propose to me, this would be a great place! Skiáthos was the first northern Sporade to be developed, back in the mid-1960s. It’s not hard to see why, with more than 50 beaches lapped by an almost Caribbean-coloured sea, boat trips to the smaller islands are plentiful; That is if you can bear to tear yourself away from your sun lounger on the white sandy beaches, which are no doubt a hop skip and jump away from your hotel. I stayed at the five star, Skiáthos Princess Hotel, which had a private beach (natch), and a glorious pool with adjoining al fresco bar and restaurant. However, if the blinding rays made the sand just a couple of degrees too hot, there were also plenty of coconut umbrellas, palm trees and covered loungers for those who don’t like to bake. When I visited, the hotel was providing art classes on the beach, which offered the idyllic backdrop for my inner Picasso. Not having touched an easel (ever) I was quite pleased with my finished oil painting. I wouldn’t say it was a masterpiece, but with tuition from the Artists in Residence, I spent a happy morning session soaking up the sun and getting tips on how to use a painting knife, which is like frosting a cake, and incredibly therapeutic! 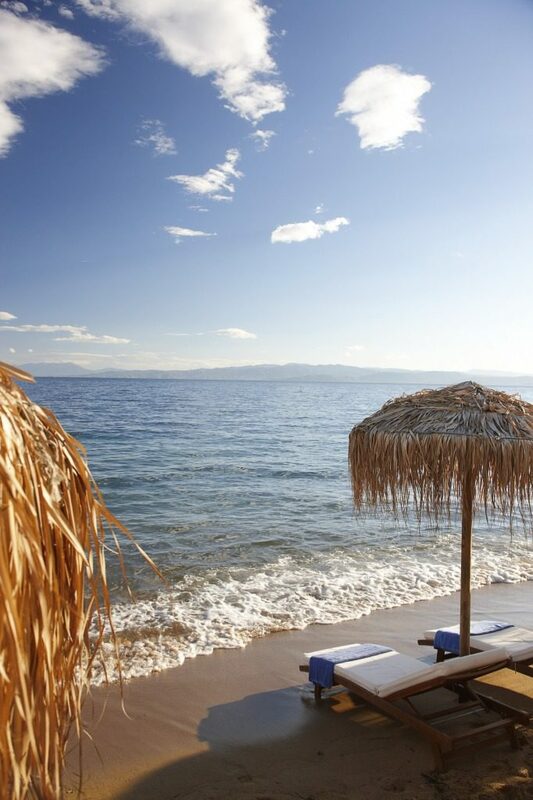 A visit to Skiáthos would not be complete without a visit to the Banana beaches. The Big Banana has incredible sunsets, slightly better sand, sunbeds and a snack bar. But the ‘Little Banana’ a little further south, is where you go for an all-over tan! I can’t vouch for its authenticity, as I did not have the time (or inclination) to head to a nudist beach! When you’re ready for a boat ride, and who doesn’t come to an island expecting at least one excursion? It is worth enquiring about a charter to nearby Tsougrias Beach. 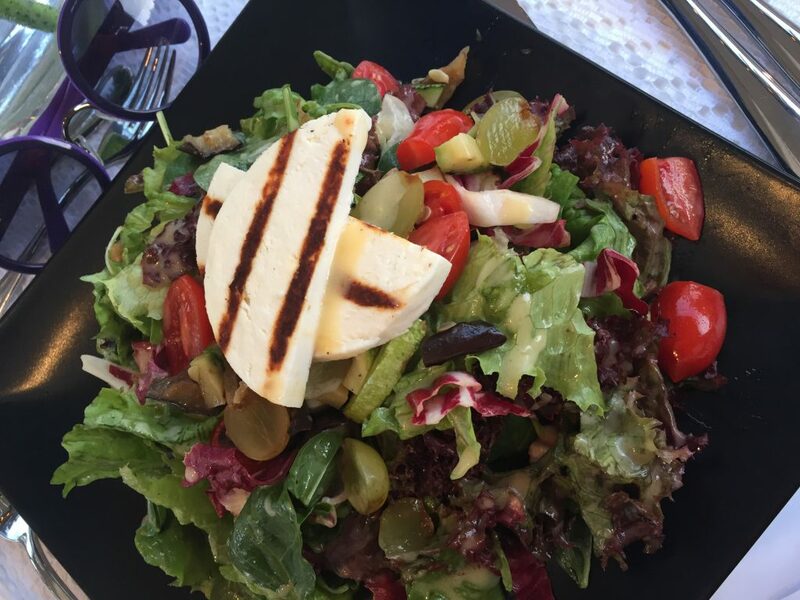 The Princess Skiáthos can arrange this for you, and organise a packed lunch. The twenty-minute journey across the seas is truly beautiful. Watch the jumping fish, and count the posh yachts which choose Greece as their stopover points, for a good reason. When you do finally pull up to the tiny deserted cove, you feel like you are Robinson Crusoe. With a handful of sun loungers to rent, next to a small basic restaurant, I would recommend taking a towel and setting up on the other side of the beach for a fully authentic experience. 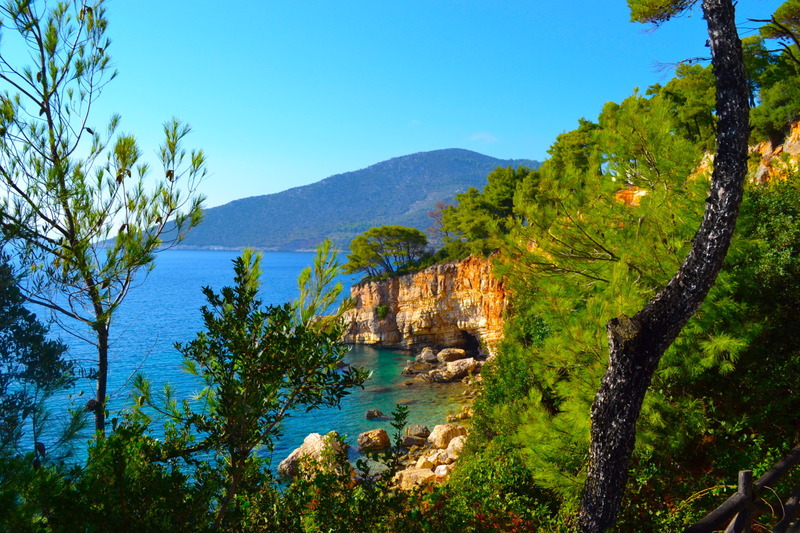 There is shade under trees and at only a few footsteps to the sea, this is a sunlovers paradise. Take a book, towel, sunscreen and prepare to take some amazing photographs. It truly is a hidden treasure. Although this island is becoming more popular- as I was leaving for my stand-up paddle board lesson about 3pm, other boats were sailing in to get settled for the afternoon sesh. I personally think the early bird got the worm-although, there is enough sun for all! 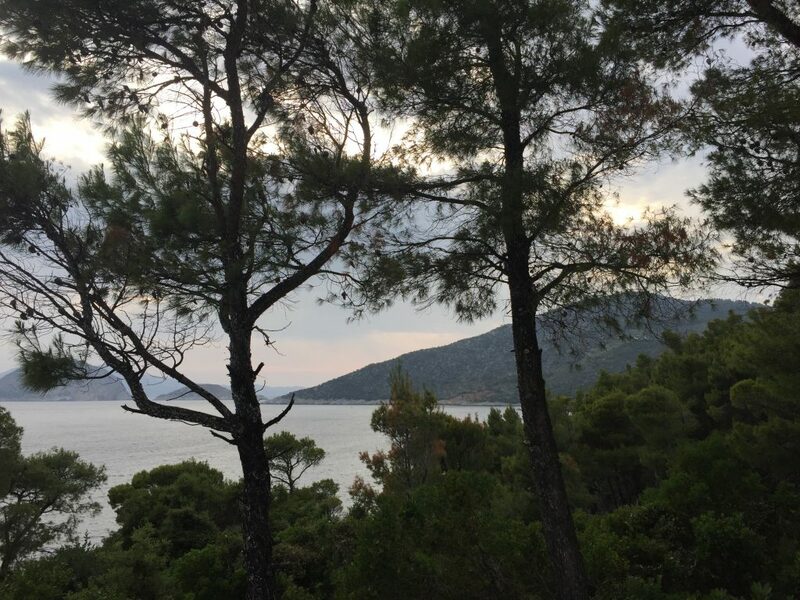 Another must destination is the tiny island of Alonnisos; At 13-miles long and three miles wide, it is stuffed to the brim with nature, rather than humans, which is a refreshing change during peak season. Take the hydrofoil across for a two-night break, and soak up the glorious colourful flowers which greet as soon as you land, and get ready for total relaxation. 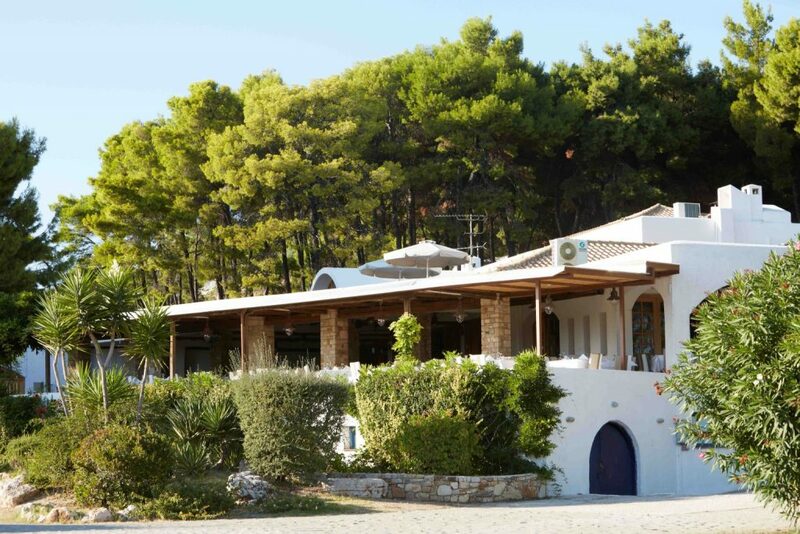 I headed to the exclusive Marpunta Village Hotel on the headland of the island. A 15-minute drive up hill from the port takes you to another world. Set in a converted fisherman’s village, surrounded by olive and pine trees, the small-town atmosphere is still apparent in the rows of bungalows and duplexes which are spread up the side of the cliff. 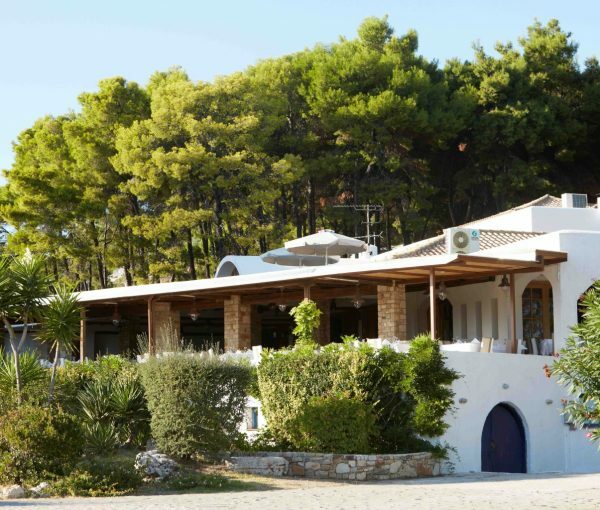 Each with their own unique character, it is perfect for families and couples, or if you are coming as a group you can book adjoining properties, and still maintain your privacy. The rooms range from suites, to more basic packages, but all are all modern and elegant. If you opt for the all-inclusive, the buffet is stupendous! And you don’t have to worry about piling on the holiday pounds, as there are plenty of organised activities for guests, including sunset yoga, and access to two private beaches which are perfect for snorkelling. Each property has an undisturbed sea view, and a completely zen atmosphere. The only sound being the chirping of birds and the crystalline sea grazing the pebbly shore a few yards away. 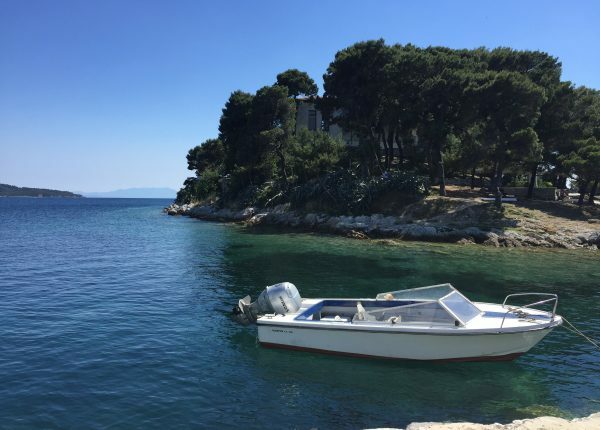 Perfectly peaceful, this verdant location combines sea and forests; Wildlife lovers will love it, and if you get lucky you can see the Mediterranean seal which is often spotted in the waters over the summer months. I would say this part of the Aegean is perfect for a fly and flop vacation, but it has so much more. 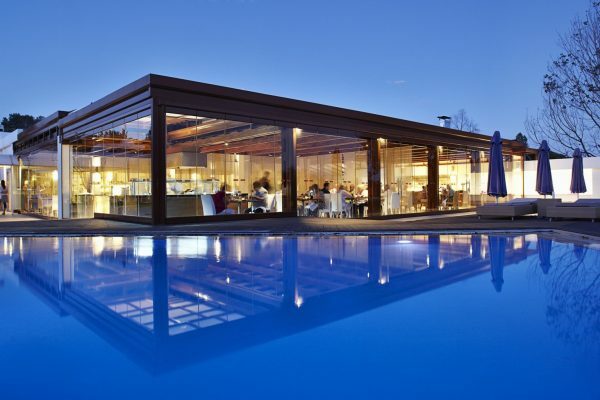 It offers contemporary Mediterranean chic and an exclusive atmosphere, where it is worth exploring. With friendly locals, and the freshest food that you would expect from the Med, dine out at traditional tavernas and restaurants in the Port of Skiáthos, and enjoy food with the locals. Seafood plays a major part in the menu- steamed mussels, swordfish or monkfish in spicy red sauce and octopus are all local specialties; Along with moussaka, arni souvlakia (lamb skewers), dolmades, and cheese pie. 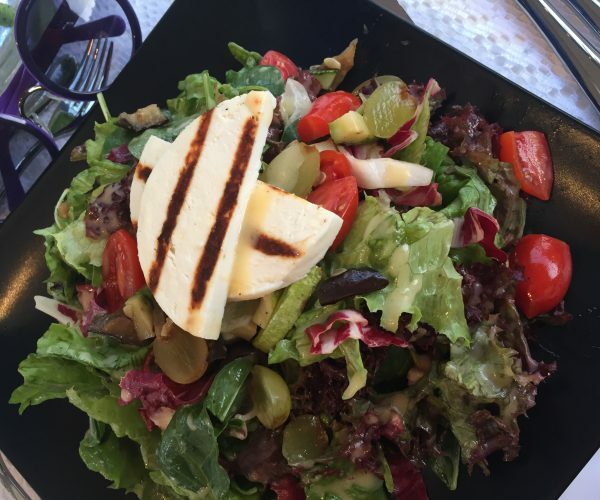 Of course, the famous Greek salad is worthy of a mention, and there are more cheese choices than you can shake a stick at! 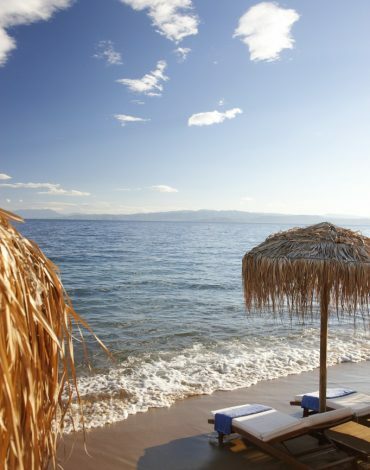 If you want luxury, sun and beaches, fly into Skiáthos (ideally with a couple of nights in Alonnisos) and you will return refreshed, relaxed, and dare I say it, a little bit smug. Classic Collection Holidays (0800 047 1064 or classic-collection.co.uk) offers 7 nights at Skiathos Princess Resort from £1384 per person. 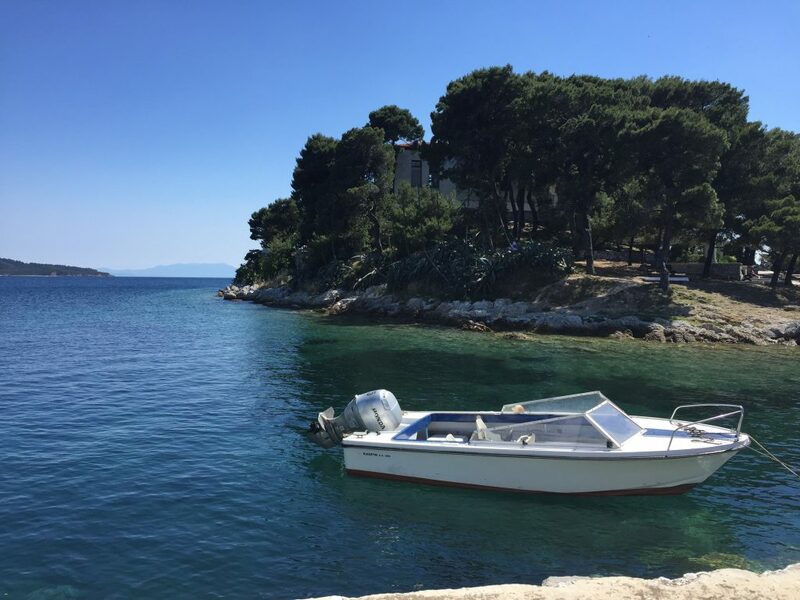 Price based on 2 adults sharing a club garden view room on a bed & breakfast basis, traveling in September and includes return flights from London Gatwick (other UK departure airports available) to Skiathos and private transfers.